SEO helps the Search Engines find out what each page is about, and how it can be beneficial for users. So, is it possible to deny its importance? Absolutely not! What about finding a right SEO tool? This becomes a bit difficult as there are numerous present and in this sort of troubled situation, experts’ preferences can make a way out. On the way, we approached 48 experts known for transforming businesses and asked them about their favorite SEO tool. And, it was great to hear back from the prolific professionals offering answers on their favorites. Now, it’s time we meet both, the experts and their favorite tools. Some experts have shared more than 1 favorites. Jeff Bullas is a Blogger at jeffbullas.com and his expertise lies in Social Media, Content and Digital Marketing. Catch Jeff on Twitter and LinkedIn to know how to run a business extraordinarily in a digital world! Rand Fishkin is the Founder and Former CEO of Moz, board member at presentation software startup Haiku Deck and co-founder of Inbound.org. He has been listed amongst Businessweek’s Best Young Tech Entrepreneurs and owns a fascination with Search, making contribution to blogs in marketing & technology. Find Rand’s books on SEO here. Catch Rand on Twitter and LinkedIn to know the killer marketing practices! Neil Patel is Co-founder and Blogger at KISSmetrics, QuickSprout, CrazyEgg, Hello Bar and neilpatel.com. This Seattle-based entrepreneur has founded one of the 100 most brilliant companies and is best known for helping brands/businesses grow using his verified & innovative marketing techniques. Catch Neil on Twitter and LinkedIn for eclectic mix of digital marketing tips! Sam Hurley is a lateral-thinking Digital Marketer and Founder of Digital Marketing Consultancy:Optim-eyez. He has been ranked as the world’s #1 digital influencer by Webinale, #2 most influential digital marketer by Onalytica and #3 content marketing influencer by ScribbleLive. Catch him on Twitter and LinkedIn for heaps of helpful material on entrepreneurship and marketing! Bill Slawski is the Founder, Blogger & Editor of SEO by the Sea and Go Fish Digital. He holds 20+ years of experience in professional SEO and Internet marketing consulting and is dignified as the foremost expert on Google’s patents for SEO. Catch Bill on Twitter & LinkedIn for latest info on SEO and how it works! Larry Kim is an influential Internet consultant and Founder & CEO of WordStream. He got privileged as the most influential PPC expert in 2015, 2014 and 2013 as per the PPC Hero Blog and is seen as a broadly popular pay per click expert. A frequent contributor to Forbes, Inc., Search Engine Land and other blogs, Larry is the author of four award-winning books on software development. Catch Larry on Twitter & LinkedIn to share his interest with marketing unicorns! Daniel Knowlton is a Digital Marketing Specialist and Founder of KPS Digital Marketing. He has been ranked #12 Top 100 Digital Marketing Influencers on Twitter in 2016 and keeps on sharing marketing, business and entrepreneurship secrets with audience. He writes for SocialMedia Examiner, Content Marketing Institute and jeffbullas.com as well. Catch Daniel on Twitter & LinkedIn to know all, necessary in the digital marketing vertical! Ana Hoffman is an Entrepreneur & Blogger at Traffic Generation Café. With a unique insight into running an Internet business, Ana shares brilliant traffic generation strategies and is the right person to let you know how to get BIG website traffic, in a convenient & reasonable way. Catch Ana on Twitter and LinkedIn to get actionable traffic conversion ideas for small marketing budgets! Kristi Hines is a certified digital marketer and Freelance writer and also business blogger at Kristi Hines Media LLC, Kikolani. She has 6+ years of experience in the digital industry and works as a guest author for Search Engine Journal, Search Engine Watch, and Social Media Examiner and her articles have been featured on other well-recognized online publications as well. Find Kristi’s books here. Catch Kristi on Twitter and LinkedIn for expert blog marketing tips! Ben Sailer is the Blog Manager at CoSchedule and a Freelance Music/Games Writer. He is an avid content marketer with proficiency in drafting long-form content, email marketing, SEO, and more. Though, he loves to play bass guitar (Galsband) and keeps on contributing on several online platforms. Catch Ben on Twitter and LinkedIn to know how to create right content for right people! Toby Jenkins is Co-Founder & CEO of Bluewire Media. He has been listed amongst Dynamic Business’s 2010 Young Guns list of young entrepreneurs and is a popular keynote speaker and corporate MC. Catch Toby on Twitter and LinkedIn for web strategy helps and effective edge management & business practices! Brian Halligan is a famed Inbound Marketer and Co-founder & CEO of HubSpot. He got named Ernst and Young’s Entrepreneur of the Year in 2011, a Glassdoor 25 Highest Rated CEO in 2014 and 2015, and an Inc. Founders 40 in 2016. Catch Brian on Twitter and LinkedIn for excellent Inbound Marketing & Sales lessons! Favorite SEO Tool: SEMrush, BuzzSumo, Majestic SEO, ubersuggest, Screaming Frog SEO Spider, Searchmetrics, Moz and of course Google Analytics and Search Console. Catch Lee on Twitter and LinkedIn to become attached to the Internet Marketing! Michael J. Schiemer is a Frugal Entrepreneur and Digital Marketing Manager at Bootstrap Business. He has been chosen amongst Top 100 Social Media Marketing Specialist, Top 20 Business Bloggers; and is named as a prominent digital strategist & social media specialist. Catch Michael on Twitter and LinkedIn to get through empowered marketing pitches and motivation! Takeshi Young is an SEO Manager at Optimizely. He is an experienced online marketer with 7+ years of work involvement and specifies in SEO, CRO, content marketing and social media marketing. He also owns 15+ years of experience in web designing and web development. Catch Takeshi on Twitter & LinkedIn to witness his sharp intellect and passion for SEO! Wade McMaster is a Marketer and Writing and Editing Professional at wademcmaster.com. He has 15+ years of experience in graphic and web designing and always remains on top of the ideas. Catch Wade on Twitter and LinkedIn to help you with your website and branding! Nakul Goyal is the Director of Marketing & SEO at CARFAX. He has 15+ years of experience in Search and is seen as an E-commerce professional in the industry. Catch Nakul on Twitter and LinkedIn to come across all aspects of SEO, inbound marketing and growth hacking techniques. Ann Handley is the Head of Content at Marketing Profs , Co-founder of ClickZ and blogger at annhandley.com. Catch Ann on Twitter and LinkedIn to get free insights for writing good content that attracts and retains customers! Adam Franklin is Co-Founder and Marketing Manager at BlueWire Media. Catch Adam on Twitter and LinkedIn for practical tips on using the web to boost your business! Joe Williams is a digital marketing consultant and Founder, Managing Director, Chief SEO Trainer and Blogger at Zen Optimise. He entered into SEO world in the year 2004 and has continued on dispelling the myths & hypes present in the sphere. And, how to design and deliver exceptional digital marketing courses is his one more specialty. Catch Joe on Twitter and LinkedIn to know what this sharer of SEO, Content Marketing and Social Media has for you! Gael Breton is a complete Online Marketer and Founder & Chief Editor at Authority Hacker. He is widely recognized for sharing the tips & secrets brands/businesses use to build authority sites to generate the income. Catch Gael on Twitter and LinkedIn to know how to grow authority sites ethically yet efficiently. Patrick Coombe is an SEO Master & Internet Entrepreneur and CEO & blogger at, Elite Strategies and patrickcoombe.com. He is a brilliant inbound marketer and web developer and can be seen blogging at ‘Moz’ and other places. Patrick’s book “Learn SEO: An On-Page SEO Tutorial” is a must have for those who wish to have illustrated details. Catch Patrick on Twitter and LinkedIn to taste chock full of SEO goodness! Nyagoslav Zhekov is the Director of Local Search at Whitespark. He is an International Local SEO with 5+ years of experience in the marketing sphere and his favorite topics are: Problems with Google Places, local search statistics, and online maps spam. He is also a guest author for SearchEnginePeople.com. Catch Nyagoslav on Twitter and LinkedIn to know how much he is in love with Local SEO! Chad Pollitt is a known Digital Marketer, Author, Internet Speaker and Co-founder & VP of Relevance and chadpollitt.com. He has been a decorated veteran of Operation Iraqi Freedom and former US Commander. Listed amongst Top 20 CMO Influencers, Chad holds 15+ years of marketing experience and specializes in creating profitable online marketing campaigns. He has also authored “The Content Promotion Manifesto” and “51 Things Your Mother Taught You about Inbound Marketing” and is a regular contributor to Huffington Post, Guardian and Social Media Today. Catch Chad on Twitter and LinkedIn to keep a track of gainful web marketing strategies! Mandy McEwen is a full time digital marketing consultant & entrepreneur and Founder & President, Author, Blogger at Mod Girl Marketing. A full time digital marketing consultant/entrepreneur, Mandy helps businesses increase their revenues tremendously via Inbound Marketing, SEO and Content Marketing. Catch Mandy on Twitter and LinkedIn to know superb marketing tactics that actually work! Zac Johnson is an Internet Marketer and CEO & President of MoneyReign and blogger at zacjohnson.com. He is seen as a self-taught entrepreneur and holds 17+ years of experience. Additionally he reviews affiliate networks and informs readers about making money online. He helps you bring your business to a new level using creative content, marketing and social media tactics. He has also authored Blogging Tips: Confessions of a Six Figure Blogger. Catch Zac on Twitter and LinkedIn to know Super Affiliate Tips! Marie Haynes is a widely known Google penalty expert and algorithm analyst and Founder, Blogger at Hiswebmarketing, mariehaynes.com. She offers consultation regarding Google traffic drops as well as helps with removing unnatural links penalties. Also, she is the author of Unnatural Links – The Complete Guide To Recovery. Catch Marie on Twitter and LinkedIn for understanding Google’s algorithm changes! Bill Sebald is an experienced digital marketer and the Co-owner & SEO expert at Greenlane Search Marketing LLC. With 20+ years of experience in SEO and paid search, he loves the community, challenges, & detective work in the digital marketing industry. He is also experienced with affiliate marketing, web design / developing, graphic design. Catch Bill on Twitter and LinkedIn to get insights for advanced SEO, blogging and branding practices! Brian Jackson is an Internet Marketer and Founder & Blogger at woorkup and Director of Inbound Marketing at Kinsta. An entrepreneur and WordPress Lover, Brian provides tips and tutorials on SEO, PPC, Social Media, SaaS, Lead Generation, Web Perf, Growth Hacking and other topics in Internet marketing. He has also developed a WordPress plugin, WP Coupons to help bloggers and affiliate marketers. Catch Brian on Twitter and LinkedIn to know how much he is addicted to Internet Marketing! Chris Hubbard is an Interactive Marketer and Founder & Director of Digital Slingshot. He is an SEO master & Yahoo Search Ambassador and has more than 16 years of experience in Internet Marketing. Additionally proficient in improving conversion, he enjoys working on PPC and SEO. Catch Chris on Twitter and LinkedIn for effective On-page SEO, Analytics, Reporting, Online Advertising, CRO tips! Moosa Hemani is a digital strategist and CEO and Founder of SETalks. He has 9+ years of experience in SEO and Inbound Marketing and is known for helping businesses to brand themselves and grow using different marketing channels. He also works as a guest author for several other blogs. Catch Moosa on Twitter and LinkedIn for tips on making your online visibility pronounced! Jignesh Gohel an Entrepreneur, Digital Marketing Master and Founder & CEO of Olbuz.com and blogger at jigneshgohel.com. He has 10+ years of experience in Ecommerce marketing and is best at helping small, medium and large businesses to strengthen their brand’s online presence. He is skilled in generating positive ROI for brands and has worked on Google Adwords, Bing Ads, Facebook ads, Linkedin, AdRoll & all popular paid marketing platforms. Catch Jignesh on Twitter and LinkedIn for secrets of successful marketing campaigns! David (Dave) Schneider is Co-founder and CEO of NinjaOutreach, a blogger prospecting and outreach software. He is here to take your business to the next level and holds expertise in streamlining the process of connecting with influencers. Catch Dave on Twitter and LinkedIn to know how to find influencers, build relationships and measure results in a best possible way! Evan Dunn is a Data-driven Marketing Strategist and Director of Marketing Services at Transform, Inc. and Blogger at tribeboost.com. Catch Evan on Twitter and LinkedIn for expert tips on digital-centric business growth! Michael Brenner is a Marketing Leader and Founder & CEO of Marketing Insider Group. Catch Michael on Twitter and LinkedIn to know marketing stuff that matters and has impact! Harsh Agrawal is an Infopreneur and Professional Blogger and Founder & CEO of Shout Me Loud. He is considered amongst the top most inspirational bloggers and loves to share blogging and marketing tips to the newbies in the town. Catch Harsh on Twitter and LinkedIn to know all about blogging! Patrick Delehanty is a Digital Marketing Specialist at Marcel Digital. With extensively ranging talent in Internet Marketing, he is known for getting results defined by customers’ goals. He has 4+ years of experience in the industry and also contributes to Moz, Google+, USA Today, Paste Magazine, GrowthHackers and other blogs. Catch Patrick on Twitter and LinkedIn to know best of the digital hacks! Andrew Shotland is an SEO Expert and Founder of Local SEO Guide. He shares ranking tips with clients and is a regular columnist at Search Engine Land. He has also taken care of NBC’s Internet Division and run NBC. Com, presenting some of the TV to Web experiences. Catch Andrew on Twitter and LinkedIn to learn how SEO is made simple and further its implementation to trap benefits! Jamie Spencer is an SEO Expert and Blogger at makeawebsitehub.com. He has been featured on Inc, JeffBullas, Adweek and so on and he holds expertise in creating wide varieties of blogs. He is known for offering help to create and run a blog with more functionality, through detailed step by step tutorials. Catch Jamie on Twitter for Search Engine Optimization, Local Search and Web Strategy tips! Harris Schachter is a hybrid marketer and Sr. SEO Product Manager at Capital One and Founder of Optimize Prime. He is also a technologist and enjoys working with search, social, analytics, UX, content and conversion and brings workable marketing tips for you. Catch Harris on Twitter and LinkedIn for results-driven marketing strategies. Dennis Seymour is an Internet Marketer and SEO Consultant and Founder & CEO of Leapfroggr. He loves SEO and brings proven online marketing strategies that work for digital entrepreneurs & businesses. Link Building, Analytics, Conversion Rate Optimization (CRO), Tools, Business Practices are few of his favorite topics. Catch Dennis on Twitter and LinkedIn for effective Search Engine Marketing tips! Marcus Miller is an SEO & Digital Marketing Strategist and founder of bowlerhat.co.uk. With 17+ years of experience, He is considered as a known name amongst SEO and PPC consultants and helps businesses dominate search and social sphere. He also runs wArmour aka WordPress Armour which focuses on helping WordPress owners and is an author at Search Engine Land. Catch Marcus on Twitter and LinkedIn to know how to take your marketing to the next level! Freddie Chatt is an Internet Marketer and SEO & International Manager at amara.com and Ecommerce SEO & Content Maverick at ecomhacker.com. He is a widely recognized SEO expert and also brings tips for all your e-commerce growth needs. Catch Freddie on Twitter and LinkedIn to know great ideas for SEO success! Martijn Scheijbeler is the Director of Marketing at The Next Web. He is exceptional in bringing marketing strategies and helps clients create best experiences for both search engines and users. His other specialties include Web Analytics, (Big site) SEO, CRO, PPC, Google Adwords, Tag Management, Bing Ads, Link building and more. Catch Martijn on Twitter and LinkedIn to know best of the Audience Development, Product Marketing, SEO, Google Analytics and CRO strategies! Andy Crestodina is an adored Internet Marketer and Co-Founder and Strategic Director of Orbit Media. He is a true evangelist for content marketing and ethical digital marketing. With expertise in web designing and interactive marketing sphere, he also works as a Speaker at National Conferences & is a contributor on platforms like: SocialMedia Examiner, Content Marketing World He has also authored “Content Chemistry: An Illustrated Handbook for Content Marketing,” a popular book with effective marketing lessons. Catch Andy on Twitter and LinkedIn for powerful Content, SEO, Social Media and Analytics Strategies! 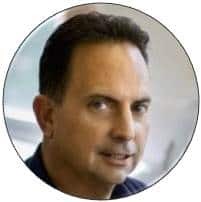 Paul Shapiro is a Technical Marketer & Programmer and Director of Strategy & Innovation at Catalyst and Technical SEO Expert & blogger at Search Wilderness. She is a search marketer that loves to take both, technical and creative approach to SEO and has become a popular face in advanced SEO/SEM. Catch Paul on Twitter and LinkedIn for innovative SEO strategies! Sue Anne Dunlevie is Blogging Advisor & Strategist of SuccessfulBlogging.com. Sue is an expert in creating plans of predictable revenues and helps you monetize your blog in the best way possible. Catch Sue on Twitter to know how to make a profitable blog, without any guesswork! Bill Gassett is a blogger at maxrealestateexposure.com. He is a real estate veteran with enormous social media exposure and runs a highly visible website in local online searches. Catch Bill on Twitter and LinkedIn for expert Real Estate Marketing tips! Glad you reached up here! 48 opinions of distinguished marketers on their favorite SEO Tools. Hope it will be of help and would love to know your opinions in comments.